A Bachelor of Economics from the University of Western Australia and one of Perth’s highest profile journalists and public broadcasters, Liam has spent almost 30 years working in Australian media. During that time he has enjoyed a series of high profile positions across all three major platforms – television, radio and print. 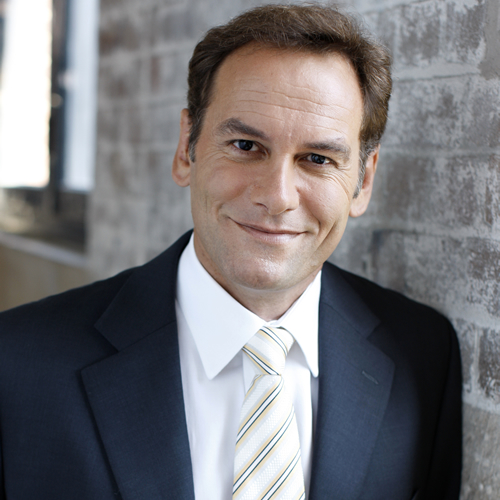 His roles have included news anchor at Channel Nine in Perth, hosting the state-based 7.30 Report on ABC TV (WA), reporting from the Melbourne bureau of ‘A Current Affair’, a columnist and feature writer for News Limited through the Sunday Times and the host of prime-time talkback shifts on Radio 6PR and 720 ABC Perth. He is best known however to national audiences as the journalist who was asked to join the Nine Network’s most prestigious current affairs program, 60 Minutes – following the death of stalwart Richard Carlton. For almost seven years Liam lived mostly out of a suitcase, gathering interviews and information from scores of international destinations in what can only be described as the best ride any foreign correspondent could ask for. His first assignment was the Israeli-Hezbollah war in 2006 and after dodging incoming Katyusha rockets in Israel and being bombed in Beirut, the baptism of fire was complete. Since then he has covered war zones in Iraq, Afghanistan, South Ossetia and Syria. In less risky parts of the world he has been tear-gassed on the West Bank, stoned by a mob in Nigeria and lost in the middle of the Congo. He has felt many emotions, including extreme claustrophobia in the tunnels of Gaza, extreme discomfort being licked by a large Alaskan black bear and extremely bruised after a serious car crash in Siberia. Respected by his peers for covering stories that others don’t want to do, Liam has ignored strenuous advice from an Australian prime minister to ‘stay away’, inadvertently taken the wrong advice and been bitten by a deadly snake as a result and wished he’d had better advice before helping to raid the nest of a three metre mother crocodile! On a more positive note, he has enjoyed several pints with Tom Jones and a heap of laughs with Billy Crystal. Spending time with Tom Hanks, Beyonce, Alicia Keys, Jack Black, Shania Twain and Dame Helen Mirren wasn’t half bad either. In 2012 Liam left the program to spend more time with his then school-aged children. He accepted an opportunity to help set-up a global creative development department and worked as an expat with Shell International in London for two years – before returning home to rejoin the Nine Network in Perth in January 2015 as a news presenter. He was asked to return to 60 Minutes on a full time basis at the end of 2016. Liam is also an engaging and entertaining speaker who provides a fascinating insight into what goes on behind the headlines in a presentation titled ’60 Minutes of Fear, Fame and Fun.’ He is also a polished and articulate MC who brings a touch of class to any occasion and has hosted numerous corporate and government awards, conferences, seminars and forums. 1997 RAWARDS – Best Current Affairs Broadcaster (National radio industry awards. Tied with Alan Jones for this award). 1998 Elected representative (unaligned) for W.A. – Constitutional Convention, Canberra. 1999 Australian Journalists’ Association W.A. Best Story Award. 2000 Australian Journalists’ Association W.A. Feature Prize. 2000 Selwyn Speight Award for Radio (Crime) Reporting, Australia. 2001 Australian Journalists’ Association W.A. Best Radio Story. 2002 Churchill Fellowship Study Tour: USA and UK. 2003 New York International Radio Festival Awards – Gold Medal for documentary on Investigative Journalism. New York International Radio Festival Awards – Grand Prize for Best News Program. 2005 Australian Journalists’ Association W.A. Best Radio Story. Australian Journalists’ Association W.A. – Daily News Centenary Prize – Best Overall Story. 2010 ‘Voiceless’ Broadcast Media Award for Animal Rights – First Prize. 2013 Bronze World Medal – New York Film and Television Awards for best investigative report: ‘The Carbon Cowboy’. 2013 Brigitte Bardot International TV – First Prize, Genesis Awards (Humane Society of USA): ‘Jungle Warfare’. 2016 Best Columnist Award – Matt Price Prize (MEAA WA). Liam has also experienced life on the inside of the national political process, being the only independent candidate in Western Australia elected to attend the historic Constitutional Convention in Canberra. In 2001, Liam was awarded a prestigious Churchill Fellowship to study investigative journalism techniques and trends in major media organisations around the world. The subsequent documentary that he produced earned international recognition with a ‘Grand Prize’ at the New York Radio Festival Awards in 2003.